Thirteen years after The Joint Commission (TJC) established medication reconciliation as a National Patient Safety Goal, ADEs are still a huge problem. It's believed that preventable medication errors impact more than 7 million patients and cost almost $21 billion annually across all care settings. About 30% of hospitalized patients have at least one discrepancy on discharge medication reconciliation. Why is this? 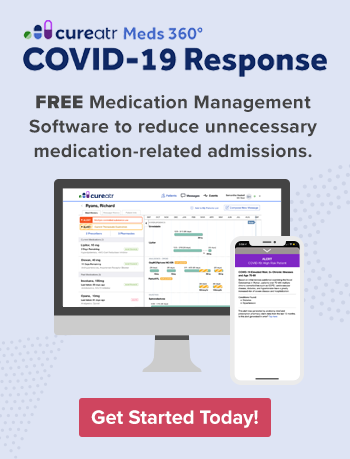 I've observed that, instead of adequately addressing broken process and hand-off miscommunications (TJC estimates that 80% of serious medical errors involve transfer miscommunication between caregivers), medication reconciliation has essentially become an EHR directed process. And this does not in any way, shape, or form deliver the level of patient safety that patients and families are counting on us for. If medication reconciliation were truly a priority goal in our healthcare institutions, we would injure and kill far fewer patients every year. But it's not, and we are. I realize there are a plethora of important issues to tackle, but it’s time to bump this one up the list. Not only for the safety of patients, but also the amount of downstream financial penalties and costs associated with avoidable medication errors. We asked physician leaders from health systems and physician organizations to give us insights about what works and what doesn’t in their facilities. Here are five takeaways from this research, synthesized with some best practices from the literature. For scheduled visits and surgeries, add a reminder to the patient’s appointment confirmation text or phone call that he bring a list of current medications to the appointment. Or, include a prompt in the patient portal to request that patients review their meds list prior to the appointment. Or, consider conducting a medication list review over the phone or by telehealth visit prior to the appointment. Direct the admissions nurse, or clinic staff in a medical office, to contact high risk and polypharmacy patients several days before their appointment and discuss current medications and adherence over the phone or telehealth platform, noting issues and discrepancies. Various studies show that medication list accuracy increases and ADEs decrease when pharmacists and RNs are managing the reconciliation at each transition point. The physicians we interviewed whose health systems have employed pharmacists and pharmacy techs to conduct medication reconciliation said that accuracy has improved. In a busy office, putting medication review on the shoulders of busy clinic support staff almost assures it will be done inaccurately or incompletely. It’s time we rethink this common workflow. We’ll never get to a truly safe process if we expect these staff to attempt such a serious and focused conversation as one about medications. Whatever they tee up for the doctor is likely to be missing something much of the time. At best they will perform the aforementioned EHR driven process, checking boxes on a screen to satisfy a requirement instead of probing for medications that may have been prescribed outside of the system or by specialists on a different EHR. Make patients aware of just how important having a current and accurate medication list is. Posters, handouts, and verbal prompts at check-in can help get the message across. If the patient’s medications weren’t pre-reconciled by phone or via the portal before the visit, print the list of medications from the EHR at check-in, and ask patients or family members to review and edit the list. 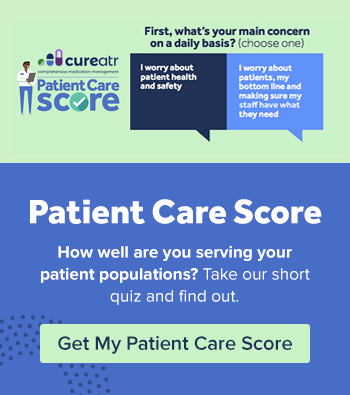 The Massachusetts Coalition for the Prevention of Medical Errors developed the Med List as part of its initiative to improve patient education and the accuracy of patients’ medication information. Medication reconciliation is not a topic on which to wax poetic about the art of medicine. The stakes are too high and the safety consequences too significant. The medical director of one clinic established a protocol for uncontrolled diabetics, whereby they are scheduled for monthly appointments, and called in between to talk about diet, exercise, and adherence. A thorough medication reconciliation is completed at each visit.